Home › Culture › What does this mean? 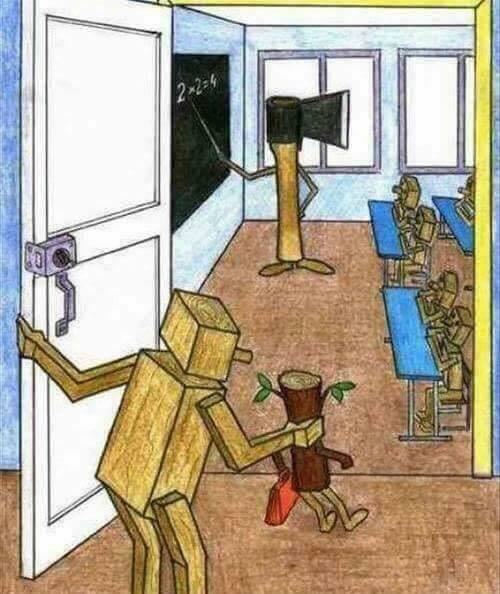 Teacher turns thriving branches into uniform blocks of wood without individuality? Teacher turns untamed branches into useful shapes? Schools limit opportunities for individual growth? I suppose it depends on your POV. The government of most countries wants useful, complient work-horse consumers, but arty types like me ascribe to the the first statement. I think the result of government interference in education, certainly in the UK, tends to the third option. It’s not the aim of schools or teachers, just the effect of government amateurs interfering in that which they don’t understand.